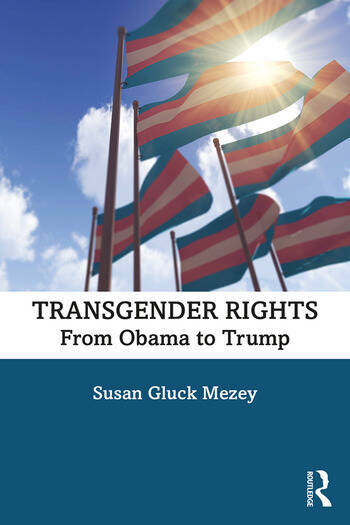 This book examines the transgender community’s struggle for equality over the last decade, comparing the Obama and Trump administrations’ stance on transgender rights policies. Transgender rights claims have assumed an important place on the nation’s policymaking agenda as society has increasingly become aware that transgender individuals are subject to discrimination because they do not conform to the norms of the gender identity they were assigned at birth. With Congress virtually absent from the policymaking process, the executive branch and the federal courts have been chiefly responsible for determining the parameters of transgender rights policies. The study contrasts the Obama administration’s efforts to expand equal rights for the transgender community, especially in employment, education, and military service, with the Trump administration’s determination to rescind the Obama-era initiatives. In their efforts to do so, Trump administration officials have urged the courts to reverse decisions extending the benefit of civil rights laws and constitutional guarantees to the transgender community, arguing that gender identity is outside the scope of these protections. Thus far, most federal courts have declined to do so, largely accepting the Obama administration’s perspective on transgender rights. Ultimately, this will be a matter for the U.S. Supreme Court to decide. The book is appropriate for students, scholars, and interested general readers. Susan Gluck Mezey is a professor emeritus of political science at Loyola University Chicago; she holds a Ph.D. from Syracuse University and a J.D. from DePaul University. Her published works include books on the rights of lesbians and gay men, women’s rights, children’s rights, and the rights of people with disabilities.